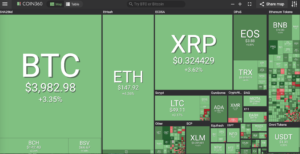 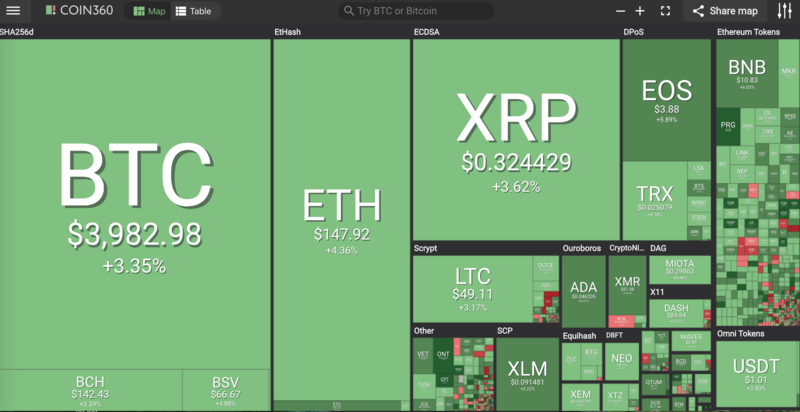 The weekend is starting off with a Green Day in the cryptocurrency market: NANO (7%), EOS (6%), BNB (6%), XMR (6%), ADA (5%), BTS (5%), ETH (4%), BTC (3%), TRX (3%), LTC (3%) on coin360.io. 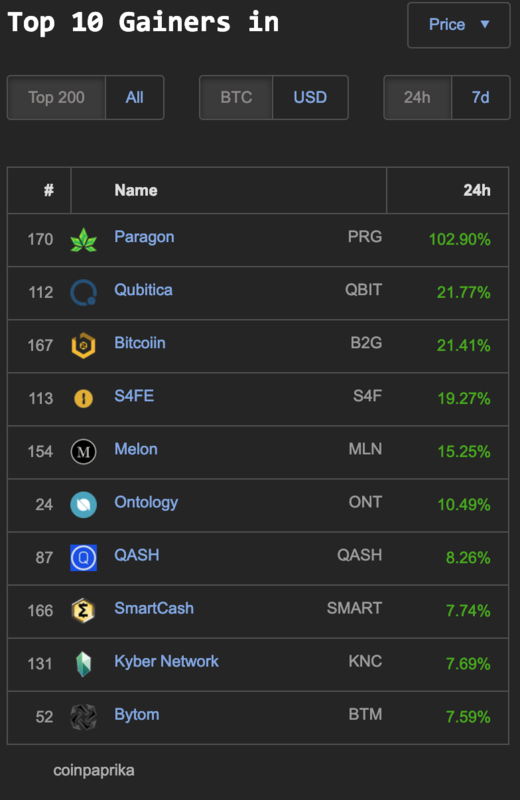 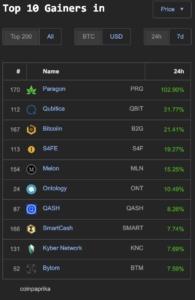 Coinpaprika.com has Paragon (PRG) with 102% gain today and double digit gains for Qubitica (QBIT) 21%, Bitcoiin (B2G) 21%, S4FE (S4F) 19%, Melon (MLN) 15% and Ontology (ONT) 10%. 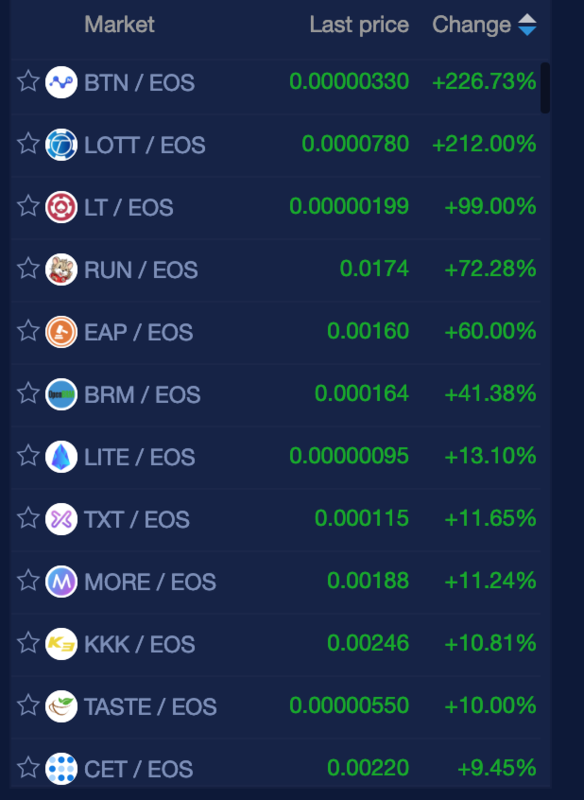 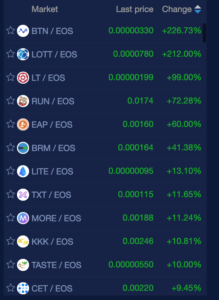 newdex.io has three coins in the 100+ percentage gaining zone and 8 others growing by double digits with all the market leaders trading with EOS.